Looking to add some fun and activity, that the whole family can enjoy? Park & Sun Sports is all about FAM (Fun Active Memories), and creating high quality games and equipment to make that family outing that much more memorable.Our Outdoor Games include all-time classics at an affordable cost and quality that will last and be a catalyst for your outings with friends and family. 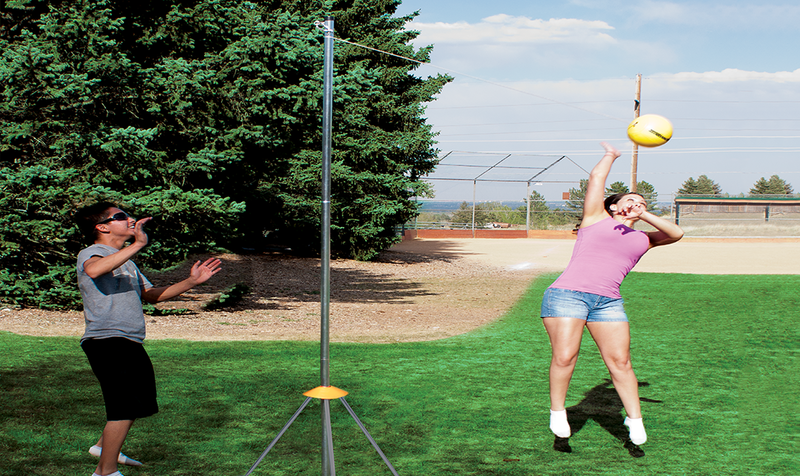 Are you ready to serve up a completive game of tetherball? Park & Sun Sports has three great options to meet your needs, with a beefy two-piece option a high durable three-piece that stores away neatly when not in use, or not able to ignore your wanderlust, we have a portable three piece system that is great for travel. The fun doesn’t end there, explore our lineup of other great games, keeping your family entertained for years to come. 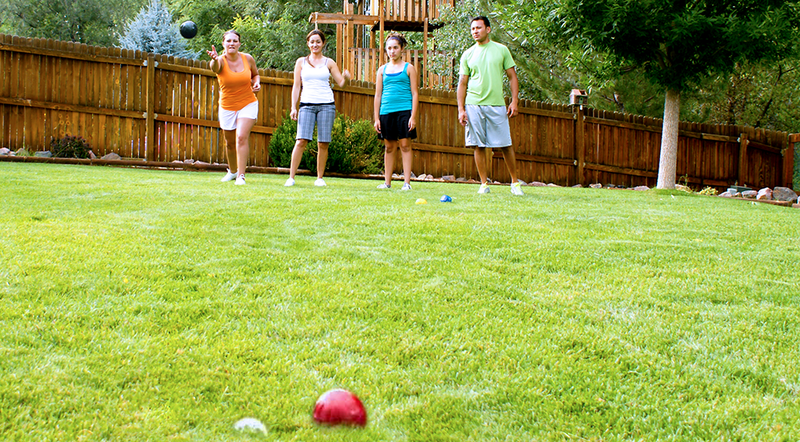 Bocce is a competitive game that's an incredibly popular sport around the world. Whether you're a serious player or looking for a quality game for the entire family, the Park & Sun Sports Bocce Elite series has everything you need to be the king of your court. The Park & Sun Sports Disc Golf Target Series, brings your favorite Frisbee sport to your very own yard, or wherever you set your course to be. 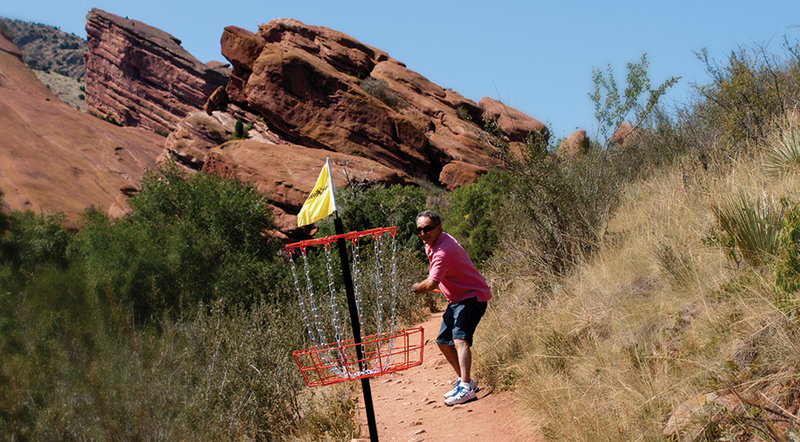 With the traditional Disc Golf target basket, to our Super Loop line, you can set your course! 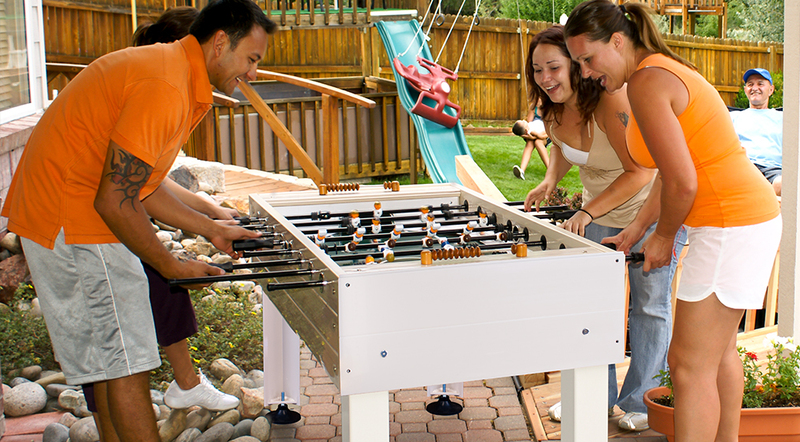 Whether you call it foosball or table soccer; want to play inside or outside on your deck or patio; single player, or up to six players, you can enjoy some fast action play with family and friends with our stylish and highly durable foosball tables.